There was a time, not so long ago, that enjoying two of your favorite guilty pleasures in one recipe meant two separate sittings. But, those days of inconvenience are long gone. 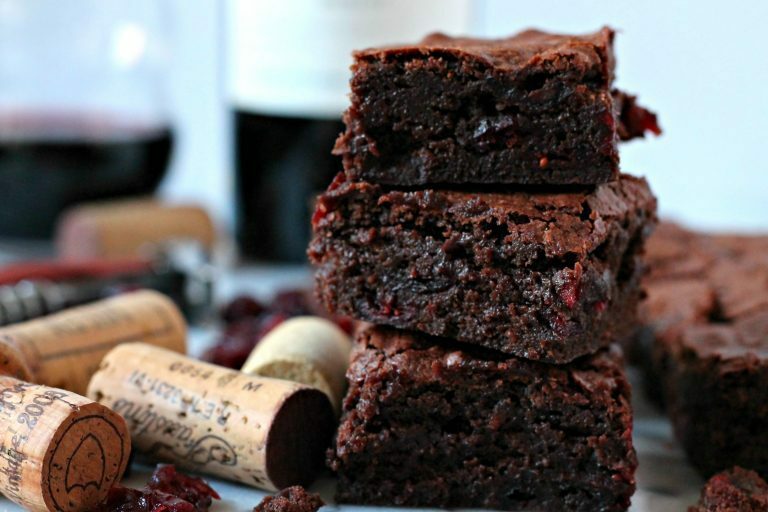 These delicious fudge brownies infused with red wine are basically the boozy BFF we’ve been searching for our whole lives. Melt 6 ounces of bittersweet chocolate and 1/2 cup butter in the microwave. In a separate bowl, combine 1 cup granulated sugar and 2 eggs, followed by the melted chocolate-butter mixture, 1/4 cup red wine, and 1 cup flour. Next, simply pour the batter into a greased pan and bake it in the oven at 350 degrees for about 40 minutes. And voila…tastebud overload in under 45 minutes from start to finish! For those of us that are “baking handicapped”, there’s an alternate recipe that cuts some corners by using boxed brownie mix instead. Mix together one box of brownie mix, 1/3 cup vegetable oil, 1/4 cup red wine and 1 egg. Then, pour your boozy batter in a greased pan and bake at 325 degrees for 45 minutes. For extra extravagance, top off your brownie’s with cabernet-soaked strawberries. If you found this recipe to be as amaze as we did, please share with your chocolate and wine loving friends and family by clicking the button below!